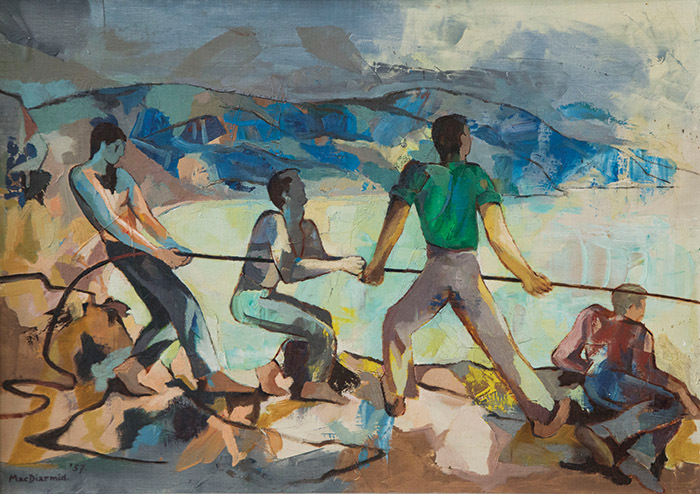 Lot 35 Men hauling in a line 1957, oil on board, 45 x 63 cm, sold for $8190, much higher than the estimated $3000-6000 in the Part I auction catalogue on Wednesday 8 August. This scene of fishermen hauling in a catch is evocative of the Marseille area of southern France, a coastline of seaside villages and narrow rocky inlets. The catch is probably shellfish or sea urchins, a delicacy of the area. The setting is most likely a kaleidoscope of impressions and observations sketched while travelling. At the time Douglas regularly painted scenes of typical Provençal village life, rendering everyday activities extraordinary in their raw power and energy. 1957 was the year his friend Charles Brasch – poet ,art collector and founding editor of New Zealand literary journal Landfall came to visit him in Paris, and admire his latest work. This painting came to New Zealand for Douglas’ one-man show at Andre Brooke’s new Gallery 91 at Christchurch in July 1959, opened by Ngaio Marsh. Gallery 91 later became the Brooke Gifford Gallery. It was purchased in 1965 from another of Douglas’ old friends, composer Douglas Lilburn who acted as his unofficial New Zealand agent for years, and has remained in a private Wellington collection until now. An undated 37 x 22 cm watercolour and pastel, this is in fact one of the favourite playgrounds of MacDiarmid’s Taihape childhood. The distinctive grey volcanic paapa (clay) cliffs of Rangitikei Gorge just south of the central North Island town are a familiar landmark for motorists driving the main highway between Wellington and Auckland. Douglas often spent school holidays on a farm at Tiriraukawa, where he and his friends used a broken gate as a sledge to slide down a waterfall into a pool to swim. The subject matter and signature suggest this scene was most likely created in London in 1946 at much the same time as two nostalgic little oil paintings of boyhood reminiscences, including Papa Cliff Pool with Bathers 1946, which Douglas also calls Tirikaukawa, held in the Museum of New Zealand Te Papa Tongarewa’s permanent collection in Wellington. 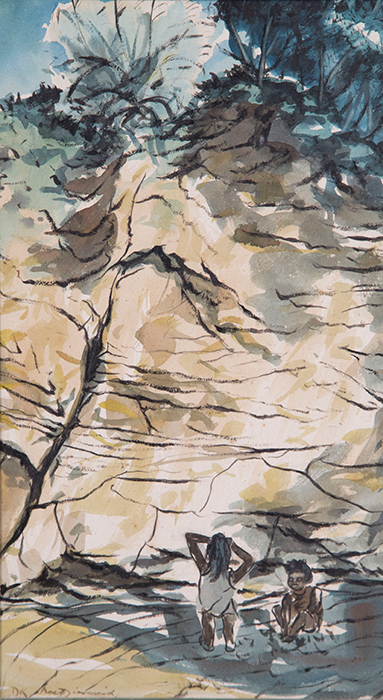 Children playing at Papa Cliff was in pioneering Wellington art and design gallery owner, the late Helen Hitchings’ personal collection for decades. 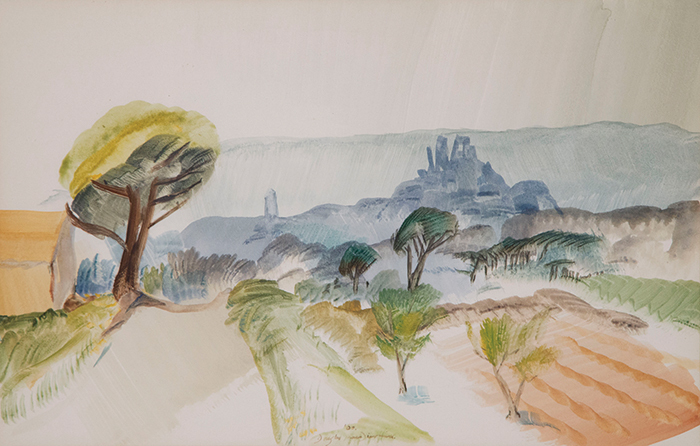 Lot 222 a French watercolour landscape titled View of Grimaud near St Tropez 1960, sold for $1053, close to estimated S1250-$2000, in Dunbar Sloane’s Part II New Zealand and International Fine Arts auction on August 9th 2018. Typical of Douglas’ delicate early landscapes that are much admired by collectors, it looks across harvested fields to a medieval village. Perched on top of a hill in the glamorous French Riviera, Grimaud has historical links to the Grimaldi family of Monaco. It is a classical Provençal village with flower-filled narrow streets, overshadowed by the ruins of an ancient castle. From its heights are spectacular views over the forested hills to the Mediterranean coast of south-eastern France. 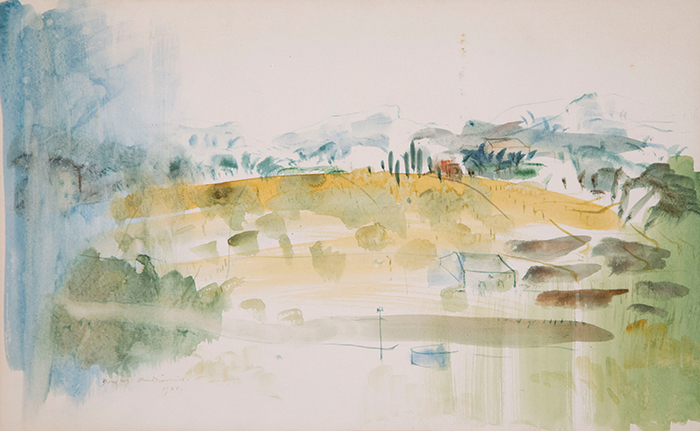 The Provence region has been one of Douglas’ favourite painting locations, ever since he lived and worked on a nearby farm when he first returned to France in 1951 to settle permanently. The third watercolour in Part II of the auction, Lot 233 Provincial landscape above Auribean 1955 sold for $1053, in Dunbar Sloane’s Part II New Zealand and International Fine Arts auction on August 9th 2018. Its correct title is Provençal landscape above Auribeau. shows tranquil farmland near Auribeau-sur-Siagne, another picturesquely medieval hilltop village in the Alpes-Maritimes area of south-eastern France between Cannes and Grasse. Auribeau dates back to the 11th century. Built on a rocky spur to withstand invasion, it overlooks the Siagne River and had a more rural character in the mid-1950s. Now it is largely a residential community with pockets of forest and farmland. These results include the 17% auction premium on the hammer price. 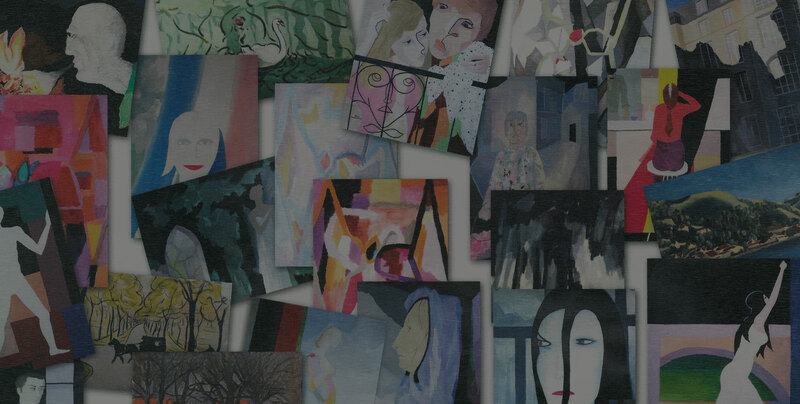 Interested to know more about painter Douglas MacDiarmid? Buy a copy of Colours of a Life, his life and times biography by Anna Cahill. 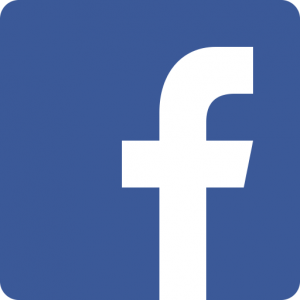 Receive the wisdom of Douglas and other updates from the MacDiarmid Arts Trust.